With such a decline in race relations, it appears even more likely the dream of a church that reflects heaven is impossible. Tensions today are so high and trust in our fellow man of a different race and ethnic background so small. How can we come together? I am still not sure why God designed me the way he did yet. Nevertheless, from an early age, I seemed to live my life in two worlds. My first school experience provided me the unique opportunity to attend school with Anglo children in a Lutheran grade school. If my memory serves me correctly, there were never more than three African American students on that campus at the same time. By day, I was around white German Lutherans. I will give you some insight into my background. It is the foundation of my education. We were taught to read and write by people who were born and raised in the Midwest and called to serve this Deep South school in the heart of Louisiana. Our unique southern dialect was not allowed, so you could say it is in this place I learned to articulate. My southern accent was discouraged, and replaced by a more Midwestern dialect. As a person who by the grace of God, am blessed to live my life in two worlds, let me share with you some observations. By night, I was around my family, all African American. Being from the South, we had no mixing of the races in my family yet. I lived in a black neighborhood and had black friends at home and white friends at school. Those two groups never mixed. I had to learn at an early age to navigate between these two worlds, but not just navigate it…at times I had to interpret it. You are now entering a series of blogs that I pray will open the lines of communication for the church and maybe race relations in general. I will take you on the journey I traveled. Through the trip, you will see people, differently than you see them today. Today I am still living between these two worlds and translating the behavior and intent of two cultures that struggle to understand each other. Today the groundwork is laid. 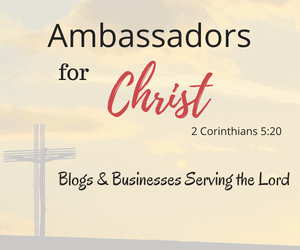 Every Tuesday on my blog will be another in this series until God says it’s time to move on. I pray you will join me on this. I am dying to see what God does with it. Peace out for now. These are the blogs in this series on diversity. Absolutely necessary for mankind to survive. We need dialog…between blacks and whites, Jews, Christians, Buddhists and Muslims. Don’t have to agree on theology, but a conversation covered with the love of Jesus is needed. We cannot kill off every person who is different nor can we discount them. They too are children of a magnificent God. Bless you, Keith. Yes this was written before this weeks events…Never a more clearer reminder of the need to see beyond the walls race, creeds and religion create. Really interesting perspective! Thank you for sharing I look forward to reading more. The fact that people still see each other as of race instead of by their character of who they are as a person causes me frustration. People ought not be segregated but instead comingle. I’m not saying to destroy a race or ones ethnicity, as that will always be apart of us, but when it comes to being around, talking to, and in general “hanging out”, race should not be a concern. We are all human, we eat, we drink, we inhale and exhale, we sleep, we work. The differences between people of other races should not be a quantifier when in context of who one can and cannot be around. Just another example of how racism stays alive. True I hope you will read more in this series I am taking what I think is a relatively new approach to address it and give some ways to solve it. Thanks for reading. I look forward to reading more. Hopefully it has a chance to end not just racism but the bigotry, fear, hatred, and segregation that face race issues. I was raised in an all white town in a southern state. We were taught to “love everyone, even those poor…whatever” sort of a “we are better than them attitude”. After becoming an adult, I started looking into the family genealogy and discovered that “those people” were part of our family. Nothing crashes down racial barriers faster than learning you too are of several races. It has been a long journey to discover not only my roots, but why they were hidden and how to deal with the emotional backlash from our elders. I wish I had access to a blog like this twenty or thirty years ago. Thanks for writing so honestly. Thank you. More to to come.